From the navigation bar, click Management > Integration > MYOB. 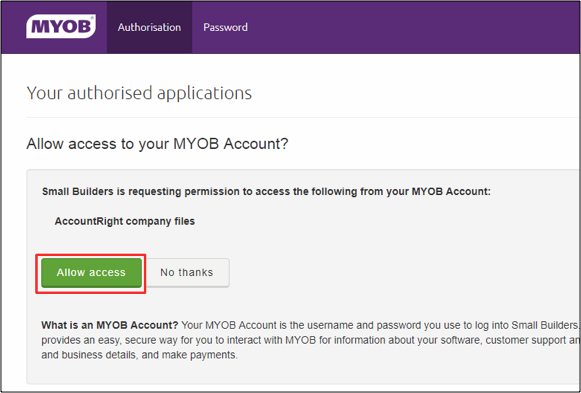 Click Connect to link your Small Builders account to your MYOB. You will be directed to this page. Click Allow Access. 4. If you have multiple company files, choose which one to access. 5. 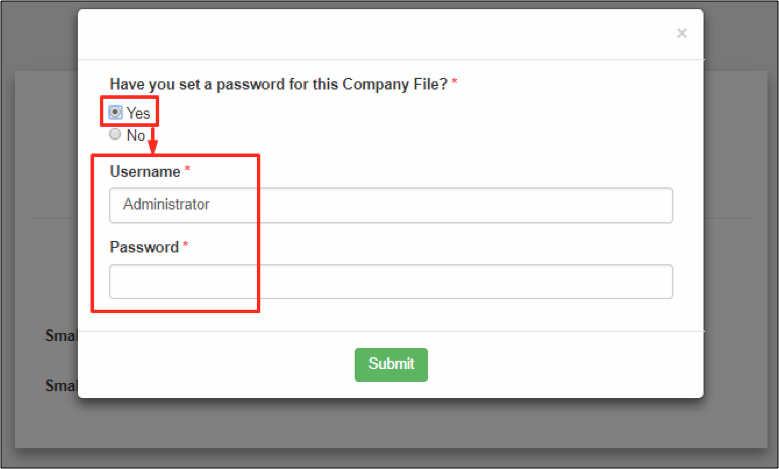 A pop-up will appear and you will be asked if you have set a password for your chosen company file. If Yes, enter your username and password then click Submit. If No, click Submit directly. Your status will say Connected if you did the steps correctly.